The Solitec brand has been synonymous in the business of loose bulk solids handling for over thirty years. Our machines are regularly specified for handling of products from Pharmaceuticals to Minerals and Food to Fertilizer. Indeed anywhere powder or granular materials are to be handled in bulk. 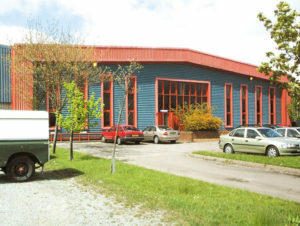 In 1991 the Rotolok Group acquired Solitec. This marriage opened further opportunities and markets while ensuring continued investment for our South Wales factory in Blaenavon, Gwent. We hope you find the information you seek within our site but please feel free to contact our engineers with any special or challenging requirements. Below is a brochure showing all of our products.